I’ve been looking back through the 200-plus reviews I’ve written over the last decade. It was definitely a couple of years before I remotely found my feet, but after that it’s not all bad. 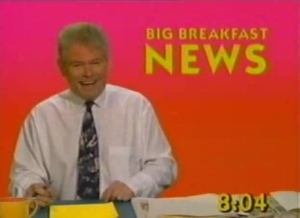 In an act of almost unconscionable self-indulgence, I present ten intros which I think bare repeating – an awkward mix of obscure references, bad jokes, comment about the industry and utter irrelevance. Harman Smith has seven personalities, and you’ll get to know them very well over the course of the game: Mark E Smith, Brix Smith, Will Smith (not that one), Will Smith (that one), Jada Pinkett Smith, John Smith and Peter Smith with the Big Breakfast news and weather. “Blow off!” We’d be surprised if there’s another game which instructs you in that manner. To complete the mini-game in question, you have to blow into the Nintendo DS’s microphone to rid a superstar of clingy groupies. We’re not sure if the flatulent double-meaning is intended or a trans-Atlantic coincidence, but we like the idea of the groupies running away because the star ‘done a guff’. Soul Calibur only really had one lookalike, that being Elvis impersonator Maxi. The good news is that Soul Calibur II adds another two: Talim, who appears to be the woman with the big eyes from Coupling, and Ivy, whose second costume is a fetching Captain Birdseye outfit. The logical conclusion of this would be for Namco to make a ‘Stars in Their Eyes’ fighting game, in which Jarvis Cocker as Rolf Harris would be the boss character. That’s the future of the beat ’em up. When was it decided that real life is more fun than fantasy? Because it isn’t. Perhaps it was when Rockstar started having absurd success with Grand Theft Auto. Maybe when FIFA became the biggest thing in games. It’s hard to say. But there aren’t as many games like LocoRoco as there should be. You know: good ones, which are fun and stuff. Especially on the PSP, which lives up to its name – PlayStation Portable – more than we’d like. What’s even more remarkable is that LocoRoco is a Sony title. Yes: Sony have gone and made a good PSP game all by themselves! Bless them. This is bloody awful. You know when something’s so obviously terrible that it’s genuinely hard to believe that someone spent time making it? That’s this, that is. Did you watch Celebrity Dog School? Surprisingly, it wasn’t awful. Even Linda Barker – who on the evidence of her Currys adverts is actually a witch – didn’t cause our eyes to explode. Unfortunately, her dog won the skill-based part of the show, which led to much shrieking from the interior designing bint. 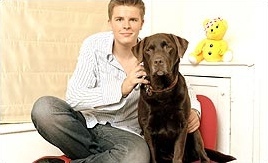 We preferred CBBC presenter Jake Humphrey and his dog though. His slightly unbalanced trainer is also the wife of Anthony Stewart Head, who of course plays Giles in Buffy The Vampire Slayer, which drags us kicking and screaming onto the topic of some game or other. The first chapter of the videogame review manual states that any review of a game featuring monkeys must begin with a comment about how funny monkeys are. Indeed, there is an entire subsection dedicated to the Super Monkey Ball series, since it features monkeys in balls. So, monkeys in balls, eh? Amusement Vision must be mad! Can we get on with it now? Criticising a budget game is a lot like telling a six year old boy to draw a lady then shouting at him to the point that he cries because he failed to equal the subtlety of the Mona Lisa. By that we mean that criticising a budget game is a lot like this: fun. 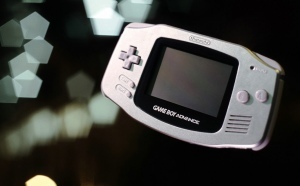 The Game Boy Advance is becoming less a handheld, more a record of every game ever released. Publishers are falling over each other to convert old games and bring franchises both past and present to the diminutive platform, presumably in an effort to produce a historic archive of gaming. Not just in the hope of turning a quick profit. No, definitely not that. Recently, a piece of research was conducted into what the car you drive says about you. Five thousand motorists were questioned, and the results made for amusing reading. “The most marginalised groups were Vauxhall and Mini owners, who were most likely to feel a failure, be couch potatoes and read the Daily Star,” wrote The Independent. Harsh words indeed. Strangely, there was no mention of the futuristic floating blades found in Powerdrome. But in our experience, drivers of those are most likely to spout irritating sound bites, swear, and be made up.